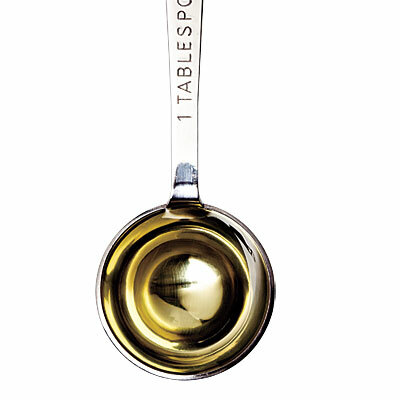 OIL PULLING: SWISH FOR YOUR HEALTH! STEP 1 : Every morning before you eat or even take a sip of water, put 1 TBSP of oil into your mouth and swill it around for at least 15 minutes. Use your tongue and cheeks to help rinse and swish the oil around your mouth and between your teeth. You can do this while having your shower, getting dressed, making your breakfast – the time flies by! Easy multi-tasking! STEP 2: Spit the oil out – never swallow as it’s now full of bacteria! You’ll notice the oil is thinner as it has mixed with your saliva, and has become white as it has drawn out the toxins. STEP 4: Brush your teeth with just water, no toothpaste needed! STEP 5: Wash your basin as that will have toxic residue too. You’re basically cleansing your mouth to support your immune system, which in turn brings better health to your whole self. Our mouths are full of bacteria, parasites, fungis and toxins, most commonly Candida and Streptococcus. These germs (fed “beautifully” by our gross sugar-laden modern diet) are what cause tooth and gum decay and many other health issues. They travel easily through the membranes in the mouth and then into the bloodstream. So if your immune system is low from poor diet, high stress levels, lack of sleep etc then these germs can multiply with ease and rush off through your gums and into your blood super highway, wreaking all sorts of havoc throughout your body (digestive upsets, anxiety, arthritis, acne, eczema and so on). The swishing action stimulates saliva and the saliva produces enzymes that draw the toxins out of the mucus membranes in the mouth so they don’t enter your system. Dr Karach, the oil pulling guru, who cured his own chronic blood disease and 15-year struggle with arthritis, notes that “if we would look at a drop of this liquid through a microscope, we would see all kind of moving fibers – those are microbes in the first stage of their growth”. Nice stuff, huh. The swishing action also activates the whole digestive tract from mouth to bottom – try thinking about your favourite food and notice the saliva build up in your mouth, as this happens the liver starts producing bile to help break down the food that’s about to enter your stomach, stomach acids also increase and your intestines start to pulsate getting ready to help massage the nutrients through your system. Just as reflexology has reflex points on the feet that correspond to different organs and systems, the tongue can also be mapped. Each section of the tongue has organ locations – lungs, heart, liver, spleen, kidneys, pancreas, small intestines, stomach, colon and spine are all being massaged and cleansed whilst oil pulling. There continues to be extensive research conducted on the benefits of oil pulling. The amount of testimonials for all hosts of ailments far outways the list I have here. So have a think about it, or better still just get on with it – super cheap, easy, and the worst it can do is improve your smile and save on your dental fees! Get swilling! In rare cases, oil pulling may appear to initially worsen an ailment or other problem issue. Dr. Karach calls this “healing crisis”, wherein the pulling has activated a problematic symptom, making it appear inflamed. He advises to continue pulling in these instances, as this is a propitious sign that the ailment is has been targeted and is disappearing. Discontinuing will interrupt the healing process that is actually occurring. Loving the blog Tash – so much amazing information on here. Thanku! so pleased you’re enjoying it! Thanks Tash, keen to try this. So if I did this in the morning only, would I really not need toothpaste after? Is any oil better/more palatable than another?